The Flamingo pads are designed to be used with our 14" x 20" and 14" x 28" walk behind auto scrubbers like our Pacific Floorcare S-20 orbital auto scrubber and our Clarke Focus II 28 inch auto scrubber for light cleaning of dirt and scuff marks on your floors which will prepare your surfaces for burnishing. 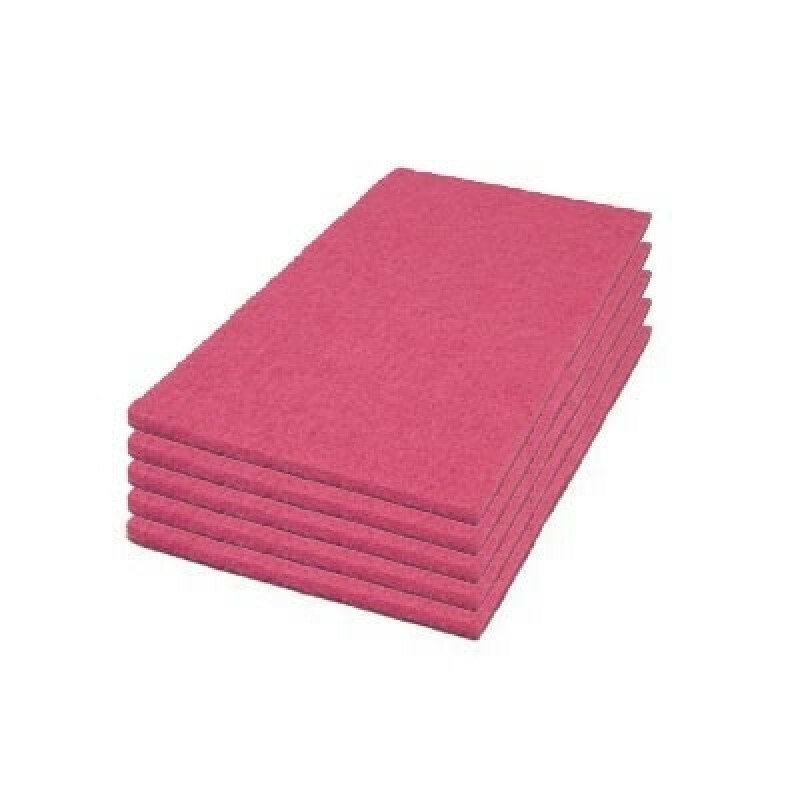 These pads are made of polyester fibers in an open texture nonwoven fabrication and can be used on both sides. Synthetic abrasive partials are dispersed throughout the pad and bonds to the nonwoven construction with durable adhesive. This open and durable construction allows the pad to produce the highest performance when used with one of our oscillating floor scrubbers. The pad is suggested to be used with a neutral floor cleaning solution. This pad can also be used to clean soiled hard surface floors like concrete when combined with the appropriate cleaning chemicals. The pad should be used until soil and heel marks are removed from floor. 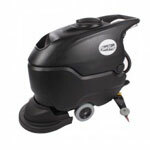 After scrubbing, the excess solution should be picked up with a mop, wet vacuum, or auto scrubber. Simply rinse your floor after scrubbing and then allow the floor to dry before recoating or opening to traffic. We recommend washing the pad with a pressurized spray to remove excess soil between use to prolong the life of this pad. Other types and sizes of scrubbing pads can be found in our full line of floor scrubbing pads.